After seeing The King’s Speech last weekend, it only seemed appropriate to visit Windsor Castle. After all, the film takes place around World War II and the royal family spent most of their time at the Castle during the war. 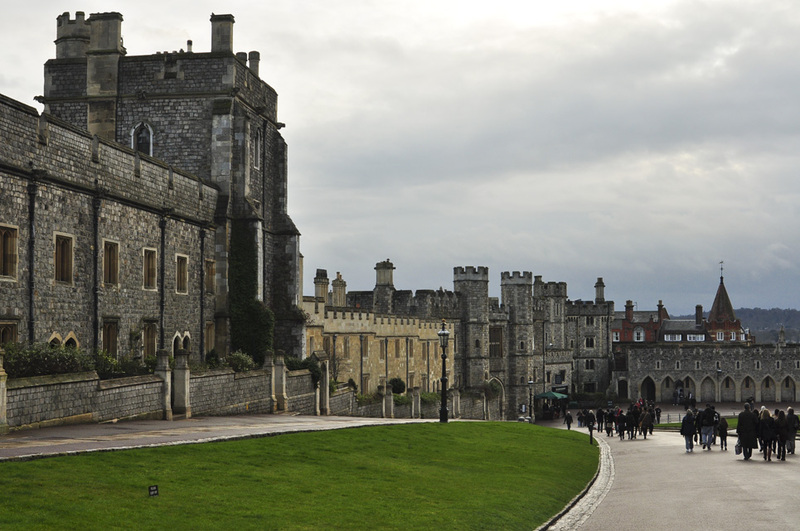 Windsor Castle is the world’s largest occupied castle, as it covers over 13 acres and contains about 1,000 rooms. The Castle was first established by William the Conqueror in 1070 when he built a motte and bailey, but since that time it has grown significantly. The Castle is one of Queen Elizabeth II and Prince Philip’s Royal Residences. The royal standard (flag) flies high above the Castle when the Queen is in residence (see photo above). She was there on Sunday, but, sadly, we were not invited to join her for tea. We first toured the Drawings Gallery where the current exhibition is “Prince Philip: Celebrating 90 years.” The 90th birthday of Prince Philip is on 10 June 2011 and this special exhibition of photographs, memorabilia, gifts, paintings, etc. reflects his life and interests. Some of the gifts the Prince has received from various Heads of State over the years are rather amusing, to say the least. Next, we viewed Queen Mary’s Dolls’ House. This miniature life-like dolls’ house, which replicates many rooms and details in Windsor Castle, was built for Queen Mary between 1921 and 1924. Each room is fully furnished complete with running water, electricity and working lifts. It is a spectacular piece of work. We then toured the State Apartments and the Semi-State Chambers (George IV’s private apartments) impeccably decorated with beautiful tapestries, antiques, and paintings from the Royal Collection, including some works from artists such as Rembrandt, Rubens and Canaletto. One of the very long (185 feet long) rooms in the castle is St. George’s Hall. This hall, traditionally used for State Banquets, can accommodate a table that seats 160. (Can you imagine!) The wood beam ceiling adorned with shields are coats of arms from the Order of the Garter Knights. The shields covered in white indicate a Knight disgraced by misconduct but remain in the hall for all to see. 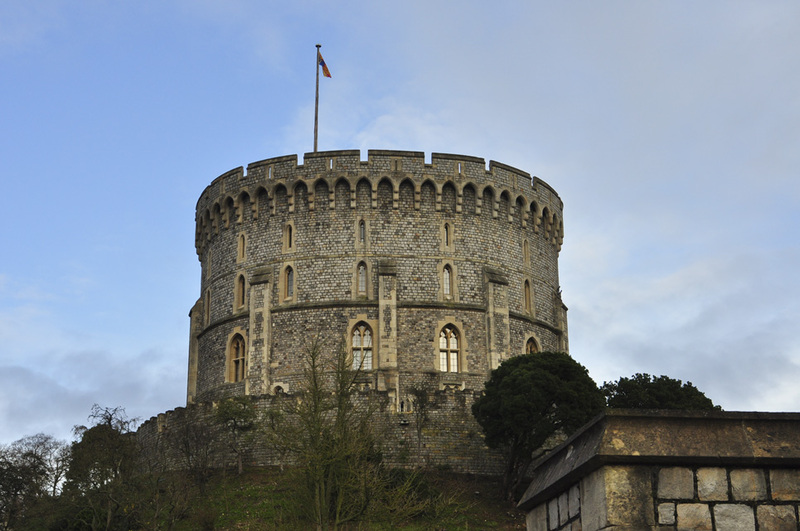 Unfortunately, we did not get to see the castle gardens, St. George’s Chapel, and various other areas due to rain earlier in the day and places being closed on Sundays, so there will be a part-two to Windsor Castle. 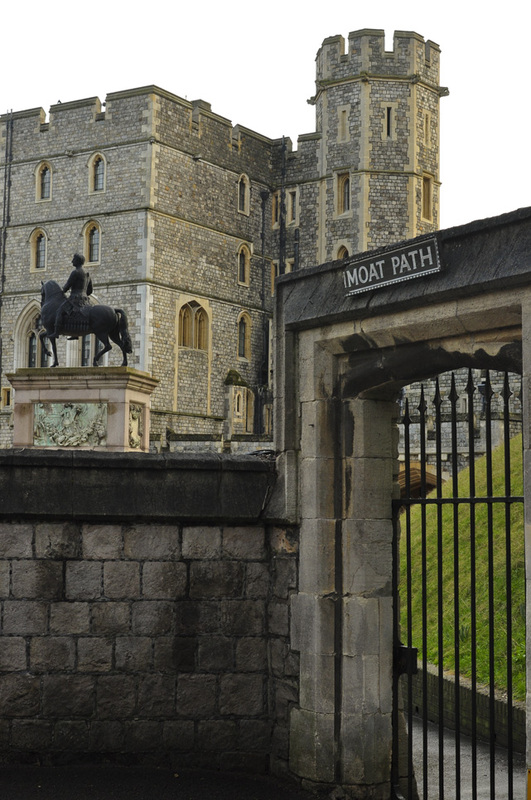 This entry was posted in The Sights and tagged Windsor Castle. Bookmark the permalink. We might need to pick up some new pjs just incase. The pictures are great and it looks as though we will have a lot to see! Isn’t it? I think it’s fascinating too.